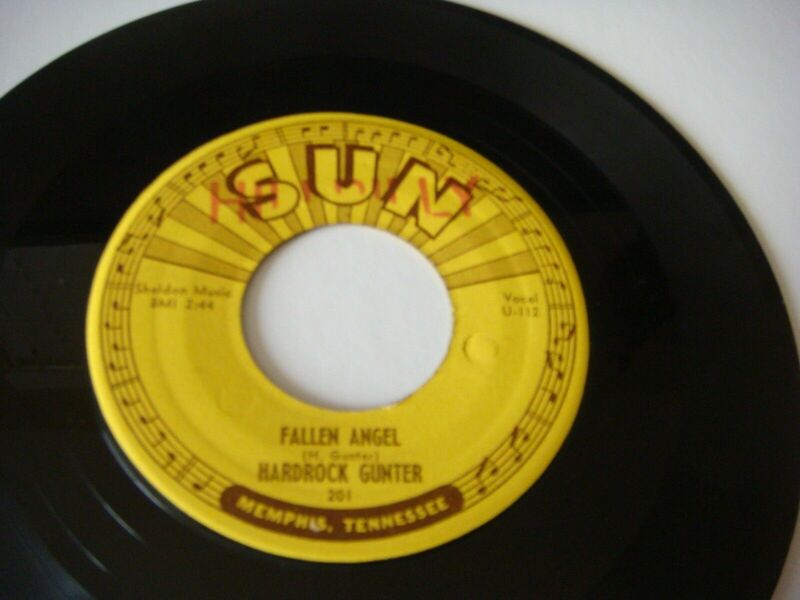 Hardrock Gunter rocker 45 on Sun "Gonna Dance All Night"
Sun 201. Hardrock Gunter. "Gonna Dance All Night" b/w "Fallen Angel". First pressing Original 45 rpm. Both sides are stamped "HILLBILLY". No real flaws. The wax is in VG++ condition. The three "Push Marks" are present and can be seen in the photos. Very Rare Sun 45 in this condition. Buyer pays postage. PAYPAL ONLY.